Legendary distance runner Bernard Kipchirchir Lagat, this week, announced his retirement from the sport of track and field. Lagat, the Kenyan-born American, retires at the youthful age of 41. Lagat is the American record-holder in the 1500m (3:26.34) and the mile run indoors (3:47.28) as well as the 1500m, 3000m, and 500m outdoors. He is also the Kenyan record holder in the 1500m. 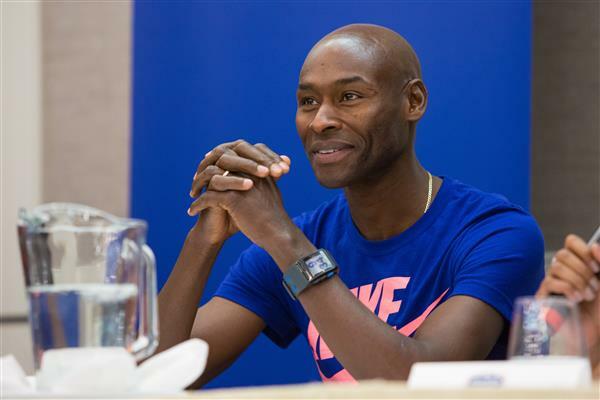 Over his illustrious career that spanned over 20 years, Lagat has won numerous global titles including two world titles and three world indoor titles. Perhaps the only blemish on his distinguished career was his failure to be crowned Olympic champion. He has, however, earned two Olympic medals: one bronze at the 2000 Sydney Games and a silver at the 2004 Athens Games. Lagat had a fantastic final season, when at the age of 41, he made his fifth Olympic team by winning the 5000m at the 2016 USA Olympic Trials. To the very end, Lagat ran creditably well to finished 5th overall in the 5000m at the 2016 Rio Olympics. Lagat’s charisma and infectious personality along with his speed and sheer determination will be greatly missed on the track and field circuit. Lagat’s absence will also be felt greatly at the famed Millrose Games, held annually in New York City, where he was crowned Wanamaker Mile champion an unprecedented 8 times.